We start with several releases from the PHP development team this week. PHP 7.0.22 and PHP 7.1.8 are both available immediately, and the 2nd Beta release of PHP 7.2.0 is ready now for testing. Also this week we have the 2nd part of the Layers, Ports and Adapters series, with this tutorial concentrating on Layers. The August edition of php[architect] magazine is out now. Titled "Who Goes There", this issue looks at effectively handling authentication and authorisation. Plus we take a look at the Neo4j Symfony bundle. And finally, the Five Minute Geek Show podcast gives you a few simple tricks for editing your blog posts. There are many different ways to teach topics of software development. From recorded lectures to pair programming. Over the time we tried many of them with different customers and different topics. I want to provide you with an overview of what worked best for us for which topic. Every day, more and more consumers are ditching the traditional shopping route for online shopping options. Online shopping not only offers convenience for buyers, but it also allows online businesses to provide competitive offers for consumers. The following infographic further shows the online shopping statistics and what seems to be in-store for the online shopping trend in the near future. Are you using MergerFS+SnapRAID to store and protect your important data collection? If you are, then you could be exposing yourself to a data loss. However, it is important to qualify the previous statement by saying the data loss was not due to a bug of either MergerFS or SnapRAID. It was due to a known design limitation that was made as an engineering trade off by the creators. What Are the Workflows of Prominent PHP Community Members? Workflow refers to both the process and the tools that are used in this process. Almost every developer comes up with a process of creating and finalising the project deliverables. This process is implemented through a set of tools that the developer comes up with through trial and error. Here are some of the PHP ecosystems most popular developers and designers, and their tools and/or workflows. Note that these workflows will by no means be comprehensive, but even mentions of tools used by some of the more prominent members of our community should be enough to warrant checking them out. Monitoring systems allow you to monitor changes to your front-end code base over time, catching any regression issues and monitoring the ongoing effects of any performance optimisation changes. Easy to use dashboards are a must when it comes to monitoring the state of your web apps. Companies like Calibre or SpeedCurve offer this as a professional service, but not everyone can afford them. This morning I came into work to find my Packagist download counter had rolled over: league/commonmark now has over 1,000,000 downloads! To celebrate this milestone I thought I'd share the story of how this package came about, how it's grown, and how I couldn't have reached this milestone without the PHP communitys help. This article discusses the path a PHP request takes as it travels through various subsystems up to your RPG code and how to do basic troubleshooting if something goes wrong. I’ve got a new Arduino board (Arduino nano) and I want to hack a little bit. Today I want to play with IR receiver. My idea is to use my TV’s remote and switch on/off one bedside lamp, using one relay. It’s a simple Arduino program. In this article we are going to learn how you can directly post into Facebook page using PHP from your website or through your own platform. There is no such thing as disconnected information, no matter where you look – people, events, places, things, documents, applications and the information about them is all heavily connected. As the volume of data grows, so does the number and dynamicity of its connections. And if you’ve tried in the past to store and query that highly connected, semi-structured data in any database, you probably experienced a lot of challenges. Neo4j was built to handle exactly this real-world information without compromising on the number and types of connections you can have relating your entities. Laravel Auditing is a Laravel package that aims to make it easy to track eloquent model changes. Along with model changes, each audit record contains the User Agent, audit URL, and the IP address of the user. One of the main use-cases of the package is looking at suspicious activities or unexpected changes in the model. Laravel Horizon is a queue manager that gives you full control over your queues. It provides means to configure how your jobs are processed, generate analytics, and perform different queue-related tasks from within a nice dashboard. In this dive we're going to learn how Horizon boots up and handles processing jobs using different workers, as well as how it collects useful metrics for you to have the full picture of how your application dispatches and runs jobs. We've been working towards our various Apigility on Expressive goals, and have recently published two new components. These components provide response representations for APIs built with PSR-7 middleware. What’s the Difference Between Mergebot and WP Migrate DB Pro? I think it is doubtless that modern PHP embraces SOLID principles, and therefore, dependency injection. That's why every modern PHP application needs a dependency injection container to deal with it. There are several options out there, depending on the way you like to work. Every container has a slightly different approach. My choice is zend-servicemanager, it is the one that better suits me. Microservices are all the rage these days. Luckily underneath the hype there are some great use cases for them. If you’re splitting up a monolith codebase into smaller specialised chunks, extracting a long running queue to its own system, or even using particular pieces of code in a different programming language. You always have to solve one architectural problem. How do I make these things talk to each other. Are you a developer who has a passion for building web-applications? Do you love Laravel or are just in the process of getting started? Do you want to meet the community members that help make it all happen? Then this is the place to be. Laracon EU is a unique international Laravel event with over 600 attendees. The conference has multiple tracks and is focusing on in-depth technical talks. Come learn about the state of the industry while networking with like-minded and diversely experienced developers. Tickets are on sale now. The Pacific Northwest PHP Conference is a 3-day event in the Pacific Northwest region of the United States for PHP and Web developers. Our past conferences have included world renowned speakers from the PHP community, presenting about a wide range of topics - from APIs and CMS to unit testing and version control. Tickets are on sale now. Zero to Hero: API Development! Presented by Matt Trask. Everyone these days wants an API for their business. But are we doing it in a way that will keep our developers and users sane for years to come? In this talk, we explore everything from versioning, HTTP status codes, pagination, testing and documentation, all of which will help you years down the road! Crafting Quality PHP Applications, presented by James Titcumb. This prototype works, but it’s not pretty, and now it’s in production. That legacy application really needs some TLC. Where do we start? When creating long lived applications, it’s imperative to focus on good practices. The solution is to improve the whole development life cycle; from planning, better coding and testing, to automation, peer review and more. In this talk, we’ll take a quick look into each of these areas, looking at how we can make positive, actionable change in our workflow. The guys play a new game with Urban Dictionary featuring Magento Solution Partner names. A few simple tricks for editing your blog posts. Topics include Alcoholics Anonymous meeting during Laraco, and The Ether Thief. You’ve no doubt heard HTTP is stateless, meaning a web server doesn’t know anything from one request to the next for the same client. Beyond news and information sites, however, a web application typically will need to know who you are and what you can do with it to be useful. In this issue, we look at effectively handling authentication and authorisation. This is the 4th post in the "Writing tests for PHP source" series by Sammy Kaye Powers. So far we've learned how to create .phpt tests and run them with run-test.php. But what do we do when a test fails? Today we dig in and debug failed tests. Robey Lawrence first met a computer when he was 9 and since then his story has been one heck of journey. He’s the founder of The WP Barber and a WordPress builder at Bearded Friend. Mr. Lawrence started as a Network Administrator at Advantage IT Solutions and later moved towards web development. He has been using WordPress for over four years now to build websites for small businesses and is one of the organisers of WP Meetups in Australia. Drupal 8 has made it easy to create engaging, content-driven websites for you and your customers. You have been following along with our courses on Envato Tuts+ and learning all the new tips and tricks to wow your clients. Then, you get a phone call. Your biggest client needs you to create some highly customised functionality and embed it somewhere on their site. How are you going to accomplish that? Modules, that's how. In Drupal 8, any time you need to create new logic, custom pages, routes, or forms, you will reach for the module. Drupal 8 modules are easy to learn, but provide so much capability that you will find yourself coming back to them again and again. Follow along with this course and, with just some basic knowledge of Drupal 8 and a little bit of PHP, you will be up and running with modules in no time. DOMjudge programming contest jury system. Event Espresso is an event ticketing and registration platform for WordPress that makes it easy for you to register attendees for classes, workshops, events, trainings, conferences or concerts, all from your WordPress website. Pods is a development framework for creating, extending, managing, and deploying customised content types in WordPress. i-MSCP (internet Multi Server Control Panel) is a software (OSS) easing shared hosting environments management on Linux servers. A framework written in PHP dedicated to build REST APIs. It is based on multiple components which cover many aspects of the API lifecycle. A WordPress specific set of extensions for Codeception. Feature-rich server software for Minecraft PE and Windows 10 Edition. 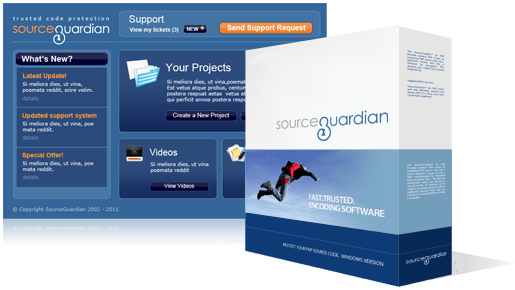 Global admin, ban, and communication management system for the Source engine.